I must have walked by the Fourth Avenue frontage of 408 77th Street thousands of times (literally!) before I noticed the strange, large stone banner set into the brick: SHLIKERMAN’S HOUSES. 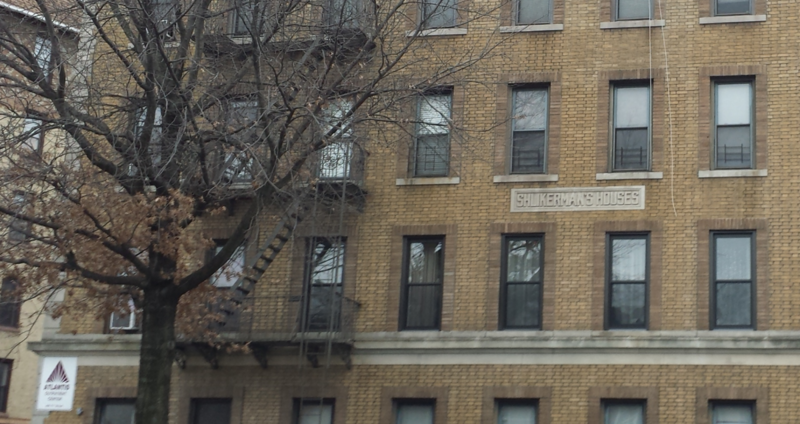 It’s the last known neighborhood remnant (at least that I’ve ever seen) of Alexander Shlikerman, whose A. Shlikerman real estate and construction company was one of the major developers of contemporary Brooklyn, including Bay Ridge. 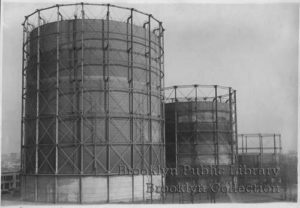 In the first decade of the 20th century, Bay Ridge experienced a building boom that would continue into the 1930s, during which time many if not most of the neighborhood’s rowhouses and apartment buildings were constructed. A. Shlikerman was one of the leading builders, along with other companies and people such as the Bay Ridge Development Co., M. Green & Co., John E. Sullivan, P. J. Carley, F. A. Bandholtz and many others. A page in the Brooklyn Eagle, from Halloween 1909, lists newly constructed rowhouses by those builders on blocks such as Ridge between 69th and Ovington; 74th between Fourth and Fifth; 75th between Fourth and Fifth, and Fifth and Sixth; 77th Street between Fourth and Fifth; and so on. Most of these buildings still stand today. This real estate page is headlined BEAUTIFUL BAY RIDGE, promoting its “High Elevation,” “Overlooking the Bay,” “Fine Streets and Avenues,” “New School Buildings,” and advertising how to get there: by Fifth Avenue el or Fifth and Third avenue trolleys. The subway (what we now call the R train) wouldn’t open until 1916, but plans of its construction were well-known and helped drive construction. A full-page (broadsheet!) 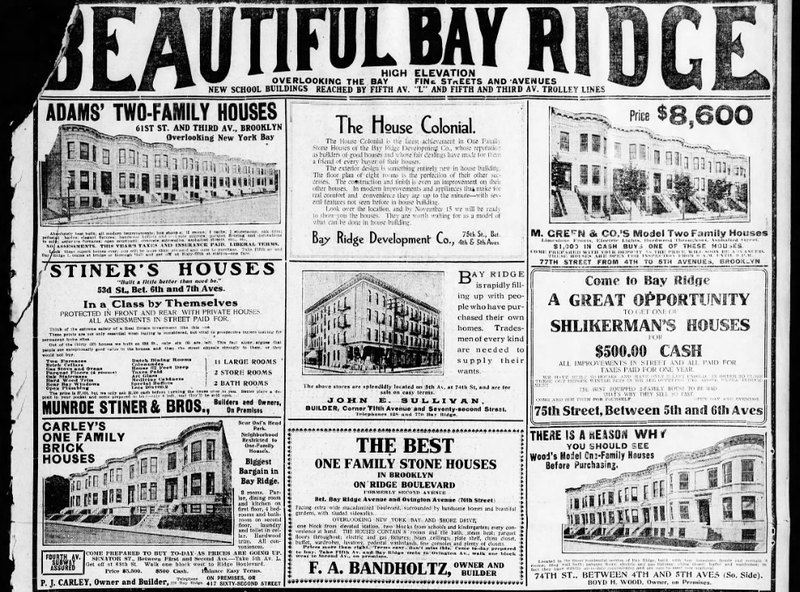 headline from the Eagle from June 1907 reads, “SUBWAY MEANS A GREATER SOUTH[ERN] BROOKLYN,” with a subhed stating, “Progressive Builders Assure Great Home-Owning Communities in Bay Ridge, Borough Park, Bath Beach, Bensonhurst, Fort Hamilton, While Realty Undergoes Striking Advance.” It was considered suburban living. Shlikerman was born in Russia, ca. 1865, according to the 1900 US Census. He and his wife, Mary, a German immigrant, both came to the US in 1883, and they lived for many years at 560 74th Street, one of “Shlikerman’s Houses.” (Before that, the couple lived at 139 Prospect Avenue.) At most, such a home around 1907 would have cost $8,000—approximately $200,000, adjusted for inflation. Shlikerman’s home last sold in 2002 for twice that, according to Zillow, and today would likely sell for close to $1 million, if not more. 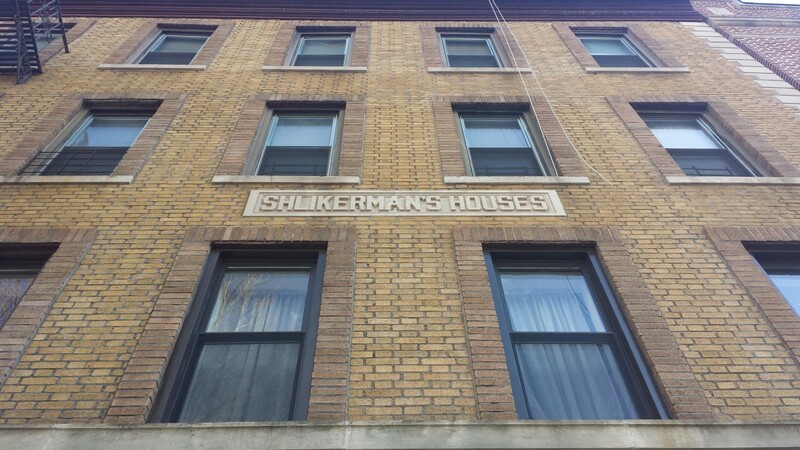 The rent for a two-bedroom apartment in Shlikerman’s old house is $2,400! 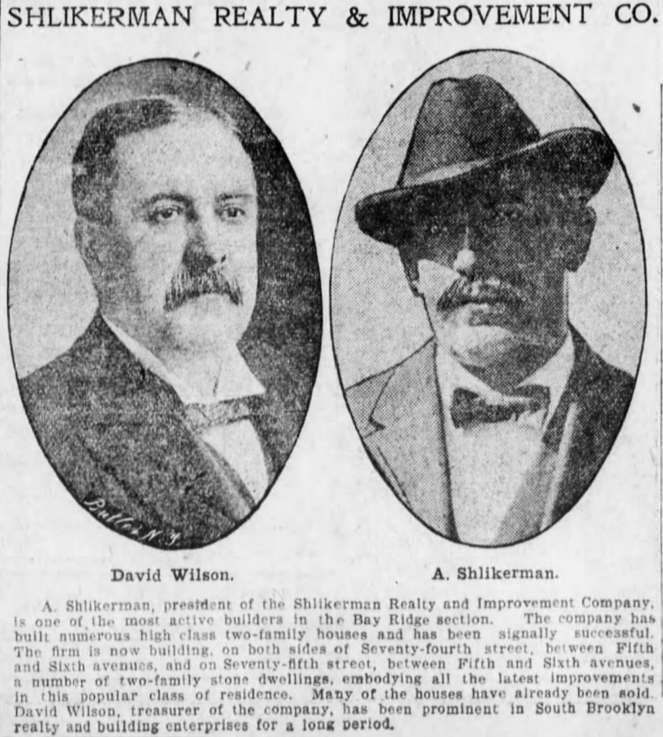 Ads for and notices about Shlikerman properties throughout Brooklyn can be found in the Eagle through at least the early 1930s, mostly for those in Flatbush, for which he would remembered, at least according to his obituary. Shlikerman died on January 5, 1937, in Victory Memorial Hospital, at the age of 71; his death was announced in the next day’s Eagle and New York Times, both of which also advertised the next day’s services at Fred Herbst Sons’ funeral home, then at 7501 Fifth Avenue (now a Rite Aid), where Shlikerman’s wife had been waked just months before. (The Herbsts later moved their operation to 7614 Fourth Avenue, though that building was demolished several years ago.) 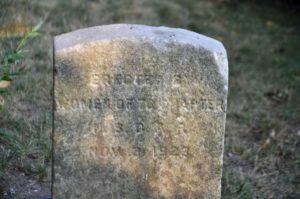 He was buried in Green-Wood, with his wife, near the Ninth Avenue entrance on the western side. 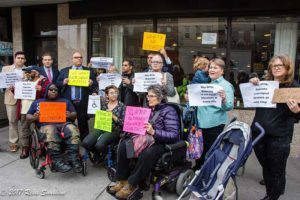 On Friday, January 8, a small obituary ran in the paper, calling him “a former builder who constructed many homes in Flatbush…in recent years [he] had been in the wholesale paper business. 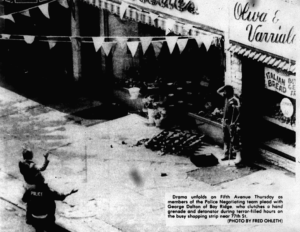 He was one of the founders of the old Fort Hamilton Savings Bank,” which was on his corner, at 7404 Fifth Avenue. (It opened in 1923 and in the 1930s merged with the old Lincoln Savings Bank on Fifth and 75th, which is now that grand Chase branch.) He and his wife had no children to be named in the obit. 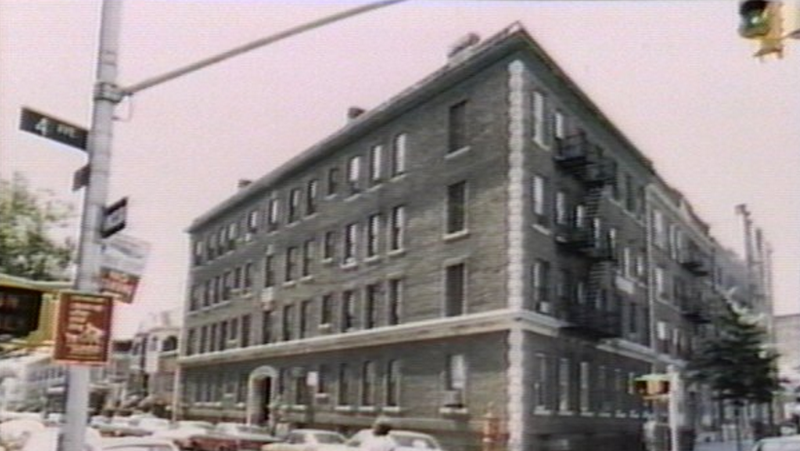 Today, he’d be forgotten by his old neighborhood and the borough he helped build if not for the name he stuck into the facade at 408 77th Street. 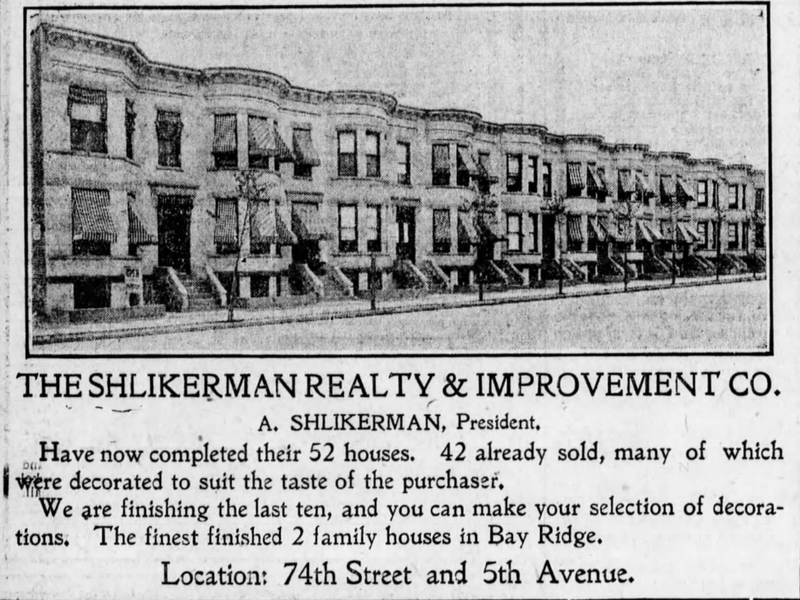 Shlikerman didn’t typically build apartment buildings, or at least attach his name to them, from what I can tell through old newspaper real estate listings, yet here’s this one, with four floors and 16 residences. (There’s also office space on the ground floor, presently medical.) The earliest filings with the department of buildings for this address were in 1928 and 1929, and at least one source of city data (that’s not usually precise) says the building went up in 1931. But it seems to have been built more likely ca. 1915, which is the first year the address appears in the Eagle, as the address of a mechanic looking for work. In 1934 the building was again in the news when a raid by plainclothes officers found a numbers racket operating in a ground-floor apartment. Police confiscated 200,000 betting slips as well as “several thousand dollars in cash, most of it in pennies, nickels, dimes and quarters,” according to a 1934 Eagle article. Among the cash, police also found a welfare check. Shlikerman died before MGM released The Wizard of Oz, but with this building the heirless developer ensured his name would live much longer—at least for those Bay Ridgers occasionally looking up. I grew up in 408 77th Street. My dad was the building’s super in the 1960s. He told me that when he first moved in, he became friends with a very old Norwegian man who had lived in the building his whole life. He told my dad that the building was up for a number of years before they dug the R train tunnel on 4th Ave. and that the building shifted because of the digging. In most of the rooms in my childhood apartment, the doors were uneven, you could see the shift in the moldings. 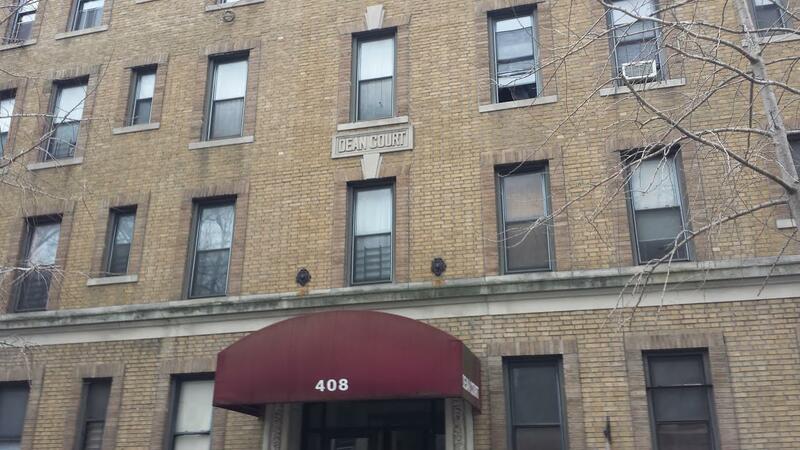 The apartments were HUGH, originally offering a fireplace in each bedroom and living room. 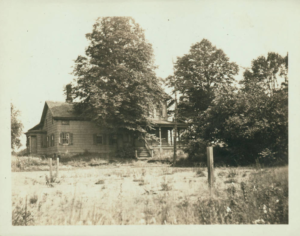 My grandfather, Arnt Johnsen and his wife, Margit were super for over 20 years – late 40s to the 60s….My sister and I grew up there living with them and later upstairs on the fourth floor and second floor. I don’t remember you or a very old Norwegian man that lived in our building! Do you recall his name. Maybe he was talking about my grandfather? Did you live in the basement apartment? Hi, you wouldn’t remember me, I grew up in the building in the late 1980s. We lived in C4. My dad, a man named Byrge was super in the 1960s for a few years. He used to lived in a basement apartment before I was born with a separate entrance on 77th Street. He was the super right before a guy named Dowling bought the place. As to the Norwegian who my dad was friends with, I don’t recall his name. He must have died a long time before I was born in 1982. He might have been talking about your grandfather. Unfortunately my dad passed a few years back, so I couldn’t as him.